Requesting a copy of Gun?bhir?m Baruw? This is the biography of the great scholar Goonabhiram Borooah written by Dr. Jogendra Narayan Bhuyan. 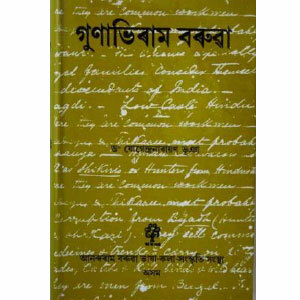 This book apart from giving a biographical sketch of the great scholar Gunaviram Barua, also presents a historical perspective on the various events which took place during the life time of Mr. Barua and his involvement in those that shaped the present state of the Assamese language.